HomePaleo DietIs The Paleo Diet Healthy? Is The Paleo Diet Healthy? Did Cave Men Have The Secret For A Longer, Healthier Life? 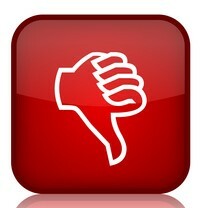 It seems like everyone you talk to is following the Paleo diet or knows someone who is following the Paleo diet. It is the latest diet fad. But, is the Paleo diet healthy? If you have been around for a few years, like me, you have seen lots of fad diets come and go. They are immensely popular for a few years. Then people discover their weight loss was temporary or they aren’t any healthier, and the diet slowly fades into obscurity. Is the Paleo diet one of those fad diets that will fade into obscurity, or is it a healthy diet that will stand the test of time? A lot has been written about the Paleo diet, both pro and con. I have analyzed the science behind the claims and counter-claims so I can bring you the truth about the Paleo diet. 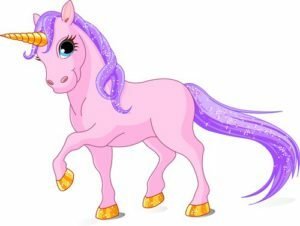 I titled this section “Unicorns and the Paleo Diet” because both are myths. In fact, the Paleo Diet is based on several myths. Myth #1: Our ancestors all had the same diet. What we currently know as the Paleo diet is based on the diets of a few primitive hunter-gatherer societies that still exist in some regions of the world. However, when you look at the data more carefully, you discover that the diet of primitive societies varies with their local ecosystems. The “Paleo diet” is typical of ecosystems in which game is plentiful and fruits and vegetables are less abundant or are seasonal. In ecosystems where fruits and vegetables are abundant, primitive societies tend to be more gatherers than hunters. They eat more fruits and vegetables and less meat. The assumption that starchy foods were absent in the paleolithic diet is also a myth. For some primitive societies, starchy fruits or starchy roots are a big part of their diet. In short, our paleolithic ancestors ate whatever nature provided. Myth #2: Our genetic makeup is hardwired around the “paleolithic diet.” In fact, humans are very adaptable. We are designed to thrive in a wide variety of ecosystems. It is this adaptability that has allowed us to expand to every nook and cranny of the world. For example, the enzymes needed to digest grains are all inducible, which means the body can turn them on when needed. Our paleolithic ancestors may not have eaten much grain, but we can very quickly adapt to the introduction of grains into our diet. Myth #3: Our paleolithic ancestors were healthier than modern man: It many respects, the paleolithic diet is healthy, as I will discuss below. However, we need to remember that our paleolithic ancestors rarely lived past 30 or 40. They simply did not live long enough to experience degenerative diseases like heart disease and cancer. We have no idea whether a diet that served our paleolithic ancestors well will keep us healthy into our 70s, 80s and beyond. However, just because the Paleo diet is based on mythology does not mean that it isn’t healthy. Let’s look at the pros and cons of the Paleo diet. It eliminates sodas, fast foods, processed foods, sugar and salt. Any diet that does that is a vast improvement over the typical American diet. It emphasizes fresh fruits and vegetables, another big improvement over the typical American diet. It has a healthier profile of fats than the other low carb diets. It favors grass-fed beef, wild-caught fish, and free-range chicken, so it has less saturated fat and more omega-3s. It also emphasizes healthy oils such as olive, walnut, avocado, and flaxseed. In this regard, it is clearly healthier than the other low carb diets. It does include coconut oil, which is a concern. As I have pointed out in a previous article, Is Coconut Oil Bad For You, there is no convincing evidence that coconut oil is healthy. It emphasizes use of unrefined or extra virgin oils rather than refined oils. That is a plus for most oils because the unrefined oils are more likely to contain antioxidants and beneficial phytonutrients. It is, however, a concern for coconut oil because the unrefined oil is more likely to contain cancer-causing aflatoxins. Like most other restrictive diets that eliminate processed foods, it can give short term weight loss, although long term weight loss is less certain. Dairy is a major source of calcium and vitamin D in the American diet. Eliminating dairy has the potential to increase the risk of osteoporosis. Whole grains, legumes and dairy are important sources of magnesium. Magnesium deficiency has the potential to increase the risk of heart disease, among other things. Most Americans are already not getting enough of these nutrients in their diet. We can scarcely afford to eliminate foods that are good sources of these nutrients. It is possible to carefully design a Paleo diet so these nutrients are provided by other foods, but most people don’t carefully design their daily diet. It recommends increasing protein intake to 19 – 35% of calories. Because legumes have been eliminated, the increased protein intake is coming almost entirely from animal protein, primarily red meat and fish. I will discuss the health concerns with red meat below. However, there is a practical consideration as well. Grass-fed beef is not always available, especially if you eat out frequently. If you are not eating grass-fed beef, you will be taking in more saturated fats and the healthier fat profile of the Paleo diet will disappear. It has been influenced by the recent hype about health benefits of coconut oil. Coconut oil is just one of several oils that are recommended. However, if you look on the internet today, coconut oil is featured in almost every Paleo diet recipe. Until we have definitive evidence whether or not coconut oil is healthy, I would emphasize the other oils recommended for the Paleo diet, and use coconut oil sparingly. There are no studies showing the Paleo diet is healthy long term. In contrast, there are long term studies showing that Vegan, Mediterranean, and DASH diets decrease the risk of heart disease, diabetes, some cancers and Alzheimer’s. The International Agency For Research On Cancer (IARC), the agency created by the WHO to set international standards for cancer risk, has designated red meat as a class 2a carcinogen. That designation means that there is probable cause to believe that it increases cancer risk in humans. The evidence is best for increased risk of colon cancer and breast cancer, although there is some evidence that it may increase risk of pancreatic and prostate cancer. When fat and juices from the meat drip onto an open flame, carcinogenic polyaromatic hydrocarbons are formed that stick to the surface of the meat. This can be reduced, but not eliminated, by lower fat meat choices. 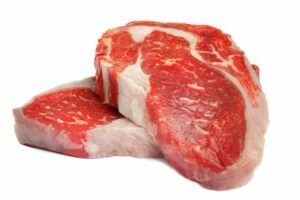 When red meats are cooked at high temperatures, amino acids in the meat combine with a compound called creatine, which is found in all red meats, to form carcinogenic heterocyclic amines. This can be reduced by cooking the meat at lower temperatures. Heme iron, which is found in all red meats, combines with other component of our diet to form carcinogenic N-nitroso compounds in our intestines. People who eat high meat diets have an entirely different population of intestinal bacteria than people who eat no meat. Several recent studies suggest that the intestinal bacteria of meat eaters are more likely to convert the foods we eat into chemicals that increase the risk of cancer and heart disease. To be clear, red meat is a probable carcinogen and we aren’t sure of the exact mechanism(s) that cause this carcinogenicity. We do not yet have definitive evidence that red meat causes cancer. However, there is good reason to be cautious about how much red meat we consume. The good news is that the antioxidants, fiber and phytonutrients found in fruits and vegetables can block most of these cancer-causing pathways. That means that small amounts of red meat in a largely plant-based diet may not be as concerning. Specifically, an ounce of red meat in a large green salad or stir fry is much less likely to increase your cancer risk than a 6 ounce steak. As mentioned above, there is a lot to like about the Paleo diet. It is healthier than the typical American diet, and it is healthier than most of the low carb diets. I have concerns about the nutrition adequacy of any diet that eliminates whole food groups and the heavy emphasis on red meat. There is also no proof that the Paleo diet is healthy long term. 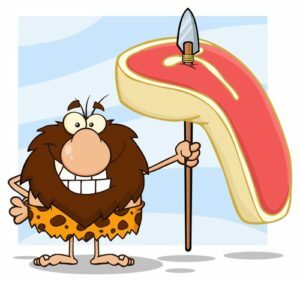 Since the restrictions of the Paleo diet are based on mythology rather than science, my recommendation would be to loosen the restrictions on whole grains, legumes & low-fat dairy, and rely less on red meat as a protein source. If you did that, the diet would more closely resemble the Mediterranean and DASH diets, which we know are healthy long term. The Paleo diet is based on a myth. Our paleolithic ancestors did not eat a single diet. They followed a variety of diets depending on the foods most available where they lived. Our bodies are not genetically hardwired for a single diet, but are designed to adapt to a wide variety of foods. For example, all of us have the enzymes needed to digest grains, and those enzymes are inducible. We don’t know whether the paleolithic diet is healthy. The average lifespan of our paleolithic ancestors was in the range of 30 to 40 years. We have no idea whether a diet that served our paleolithic ancestors well will keep us healthy into our 70s, 80s and beyond. However, the fact that the Paleo diet is based on a myth does not make it unhealthy. In fact, there is a lot to like about the Paleo diet. It eliminates sodas, fast foods, processed foods, sugar and salt which makes it much healthier than the standard American diet. It emphasizes fresh fruits and vegetables, which is also an improvement over the standard American diet. If features a relatively healthy profile of fats, which makes it healthier than most other low carb diets. It favors unrefined or extra virgin oils, which are generally healthier than highly processed oils. The exception is coconut oil because unrefined coconut oil may be contaminated with aflatoxins. It can give short term weight loss, although long term weight loss is uncertain. The elimination of whole grains, legumes, and dairy from the diet creates the potential for nutritional deficiencies that can have long-term health consequences. It is possible to carefully design a Paleo diet so these nutrients are provided by other foods, but most people don’t carefully design their daily diet. Most of the recipes you find on the internet for the Paleo diet use coconut oil. This is a concern because we don’t know whether coconut oil is healthy. 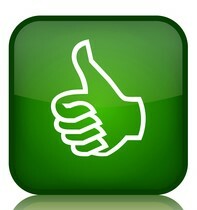 My recommendation would be to substitute the healthier oils that are also part of the Paleo diet. The heavy reliance on red meat. Red meat is classified as a probable carcinogen, potentially increasing the risk of colon cancer, breast cancer, pancreatic cancer and prostate cancer. The potential carcinogenicity of red meat is not reduced by substituting grass-fed beef for conventionally produced beef. There are no clinical studies showing the Paleo diet is healthy long term. In contrast, there are long term studies showing that Vegan, Mediterranean, and DASH diets decrease the risk of heart disease, diabetes, some cancers and Alzheimer’s. Because the restrictions of the Paleo diet are based on myth rather than science, there are simple work arounds for the concerns. If one were to loosen the restrictions on whole grains, legumes and low-fat dairy & reduce the reliance on red meat, you would have a diet closer to the Mediterranean and DASH diets, which we know are healthy long term. For details, read the article above.